The Chevening-Khazanah Scholarships are the UK government’s global scholarship programme funded by the Foreign and Commonwealth Office (“FCO) and Yayasan Khazanah. The programme gives awards to outstanding scholars with leadership potential from Malaysia to study a one-year taught Master’s degree in any field at top ranking British universities as indicated by the Times Higher Education World Reputation Rankings. Not be employees, employees’ relatives (or former employees who have left employment less than two years before) of Her Majesty’s Government including the FCO (including FCO Posts), the British Council, DFID, MOD, BIS, UKTI and UKBA, the Association of Commonwealth Universities or Yayasan Khazanah or any of their wholly-owned subsidiaries. 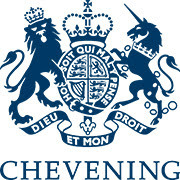 Scholarship applications will be made through the Chevening online application system. The Malaysian application window runs from 8 August 2016 to 8 November 2016.